Start with 6 cups on each side, arranged in a circle. Fill 5 of them with water and 1 with vodka. Do not let the players see which cup contains the vodka, and stick around to watch, for someone is about to get a big surprise! 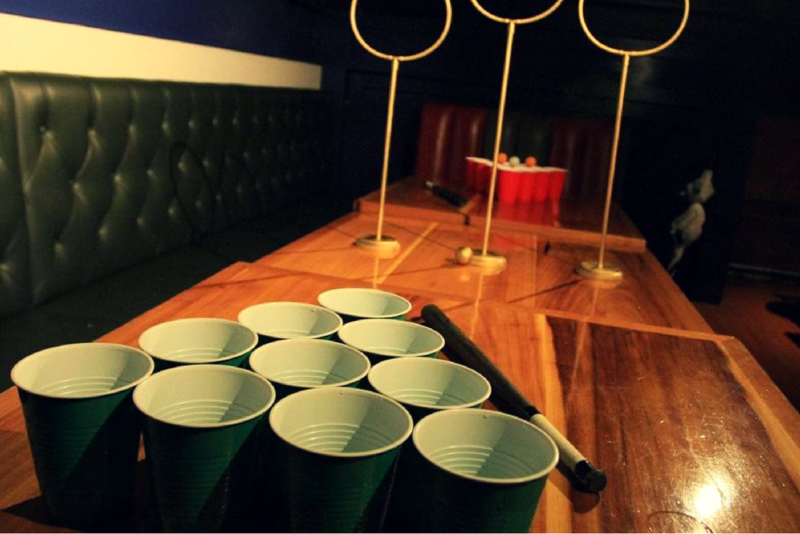 Played exactly like Beer Pong, but with a fun twist! Nobody will be shy once this game has been completed. Each time a ball is landed, someone from the opposing team must remove an article of clothing, as well as drink the cup. This is another version of the game that utilizes the exact same rules as the original, but offers an additional challenge. Make the players stand further away from the table, and take cover for all of the stray balls.